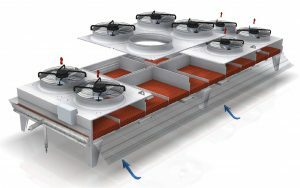 Our extensive Kelvion product range includes customised condensers (Goedhart), commercial condensers (Kuba) and even industrial condensers (Searle). We provide process optimised model ranges that are unique in their number and specifications. 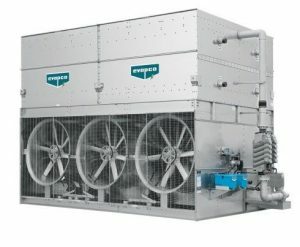 Induced or forced draft evaporative condensers have been designed for easy maintenance, long and trouble-free operation. Construction materials are available in galvanised steel, stainless steel grades or fibreglass depending upon corrosion resistance requirements.